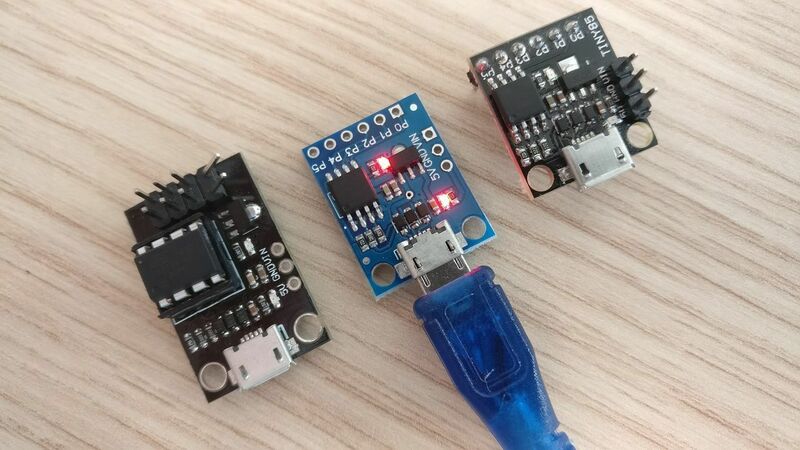 I recently acquired 3 different ATtiny development boards with USB ports. 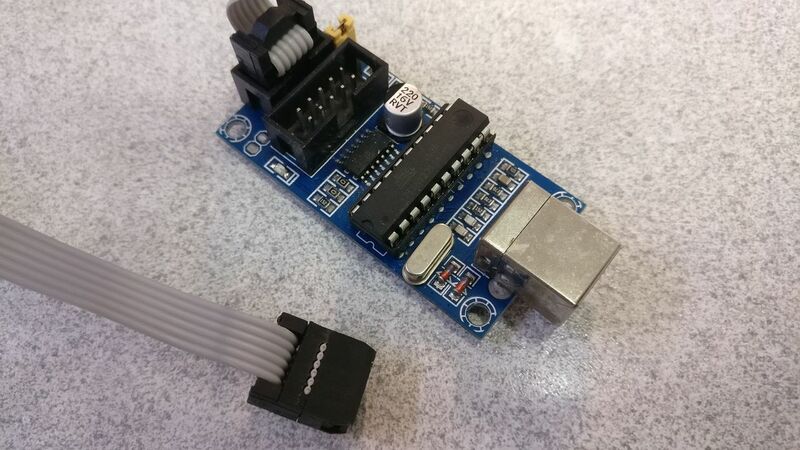 It should be possible to upload Arduino sketches through the USB port. They are working at 5V @ 16Mhz. To do so, a bootloader has to be flashed on those development boards. Let's flash the bootloader ! The common bootloader for those tiny boards is MicroNucleus. 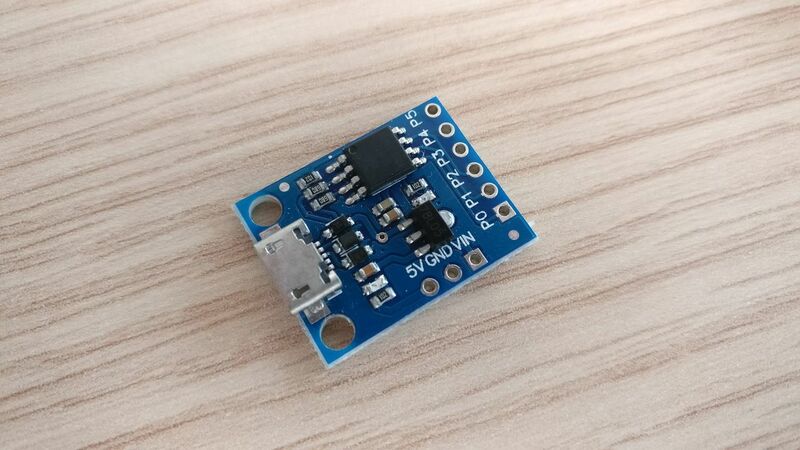 To flash the board, I will use a USBTinyISP, but you can also use an Arduino loaded with the ArduinoISP sketch (you can find examples online). I downloaded the V1.1 release of the firmware source code. Inside the ZIP file, under "firmware/releases", you will find the HEX files of the releases. 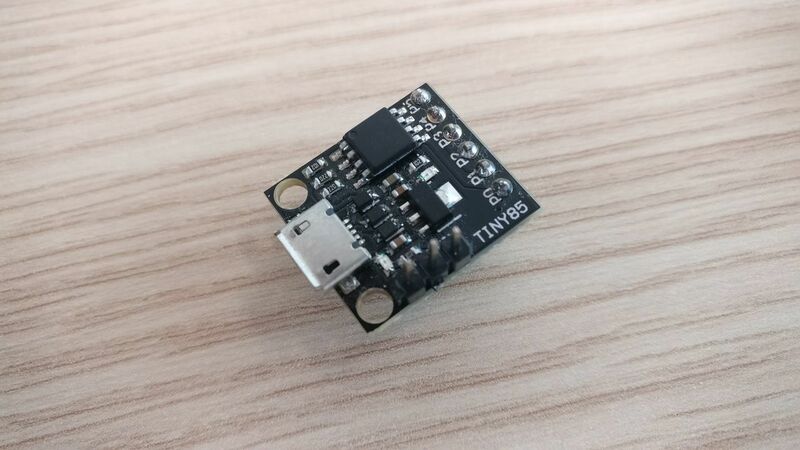 You can also use the RESET pin as an DIO, by setting the hfuse to 0x5f. If you do so, you will not be able to flash the device with ISP anymore ! You can now disconnect the ISP probe from the board. 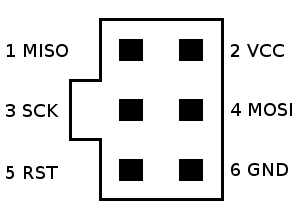 The header is compatible with the ISP pinout, but you will have to bend two pins. The built-in led is mapped on P1 (pin 6). By default, P5 cannot be used at the reset pin, so it's not possible to flash a new bootloader with ISP. My device has firmware version 1.6. On model B and C, as the RSTDISBL fuse is set, you cannot use ISP to flash a new bootloader. 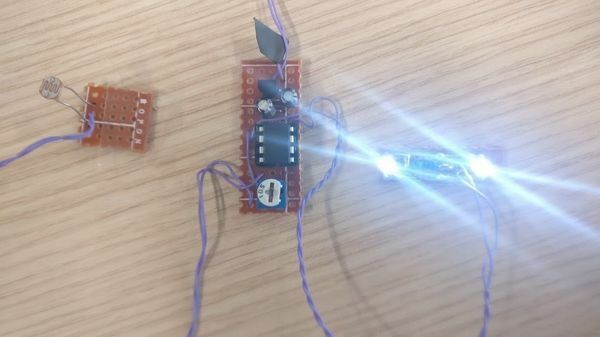 To restore the reset fuse, you can create a HV Serial programmer with an Arduino. I will try that another day. Now, install the boards ("Tools" -> "Board", and select "Boards Manager") named "Digistump AVR Boards" with the "Install" button. Under Windows, a "Driver Install Wizard" window will pop up to install the dedicated drivers. 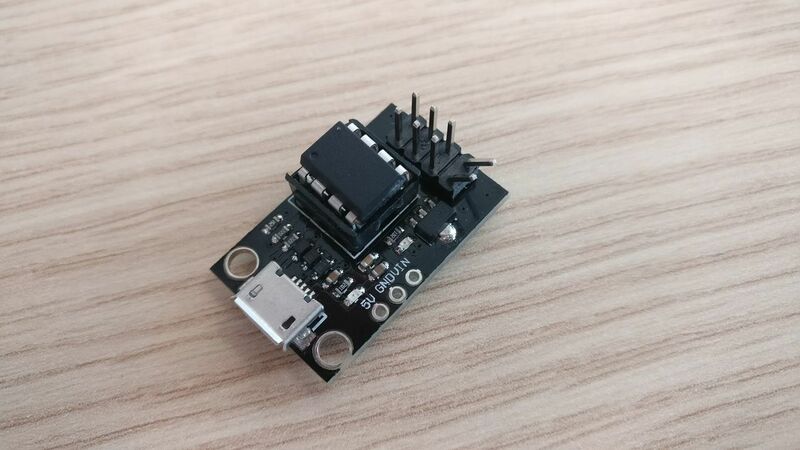 You can now select the board named "Digispark (Default - 16.5mhz)". Disconnect the board from the computer, click on the "Upload" button before plugin the board again. The code upload should begin, then end with the message "Micronucleus done. Thank you!". 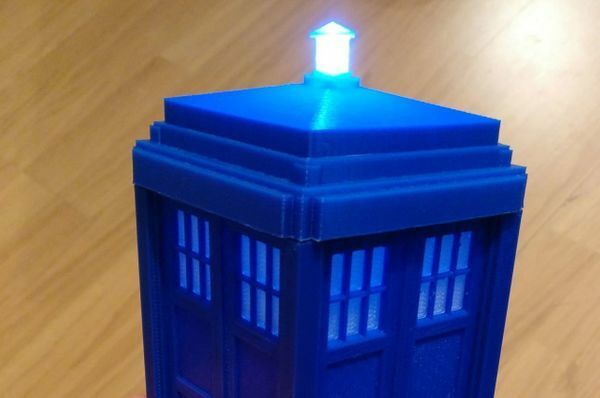 The built-in led should now blink !